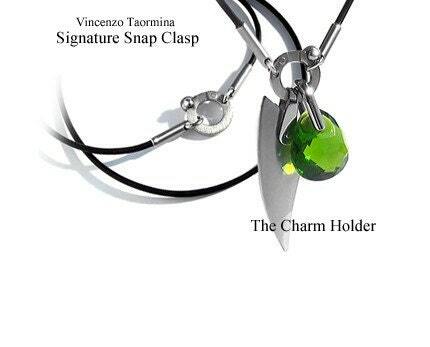 Stylish and Trendy Charm Holder Necklace with Taormina Stainless Steel Snap Clasp. 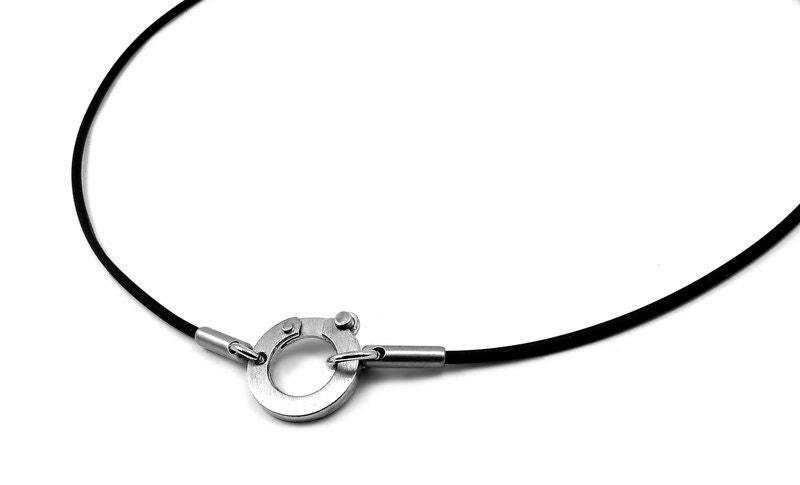 Unisex to the core, Minimalist and contemporary detail for who likes to be noticed. The unique round snap clasp is Ideal for holding charms and pendants with a moden look. CHARMS SHOWN ON IMAGE, ARE NOT INCLUDED. Please note that This Necklace is MADE TO ORDER Please indicate Length in the "message to seller" during checkout. FREE USA SHIPPING - Will ship in 7 to 10 business days. This necklace is amazing. It allows me to where my wedding ring even though I am pregnant and my fingers are very swollen. Thank you so much!